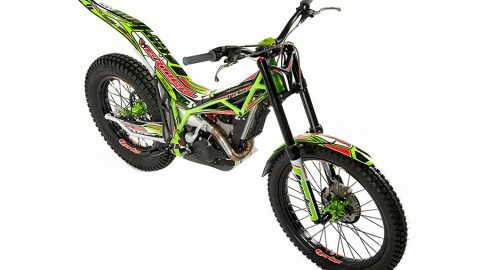 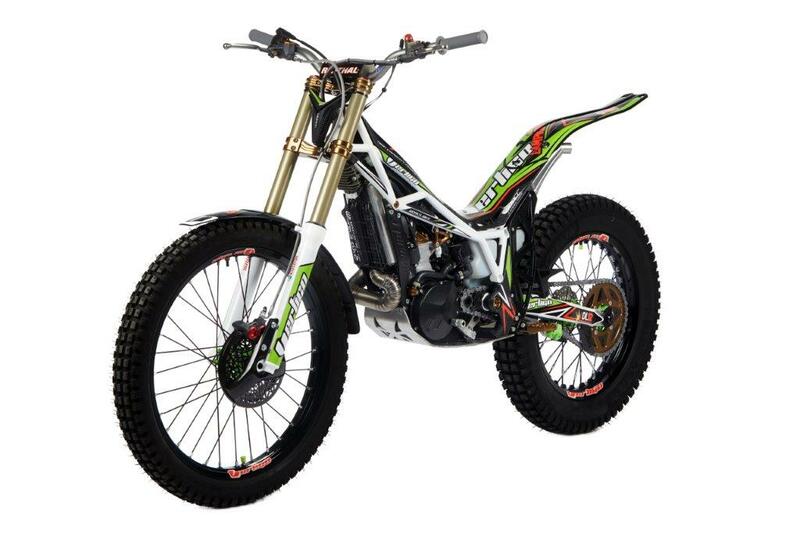 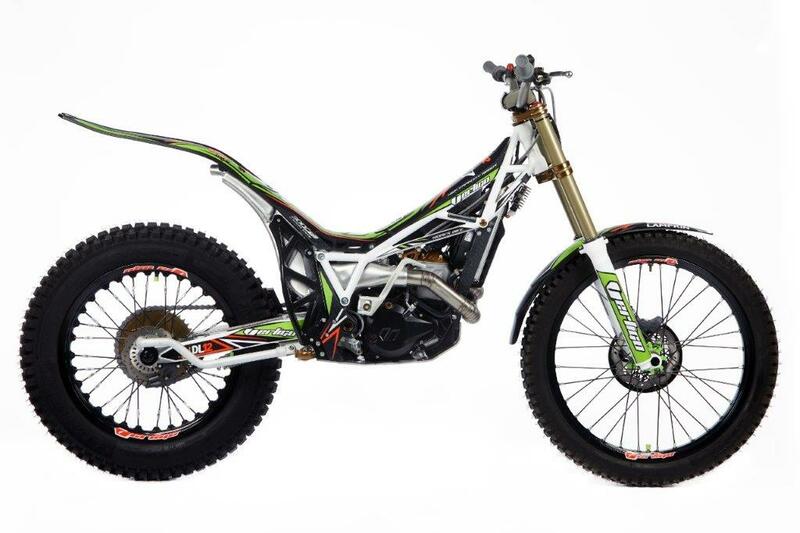 Vertigo is very proud to unveil the Vertigo Combat Dougie Lampkin Replica, a direct descendant from the victories Vertigo and Lampkin himself have taken in the last three editions of the SSDT (Scottish Six Days Trial), the most emblematic race of world trials. 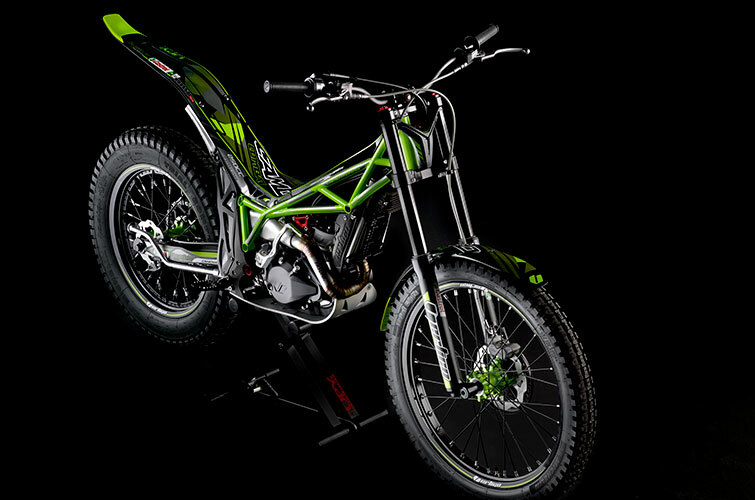 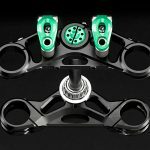 This new model follows the main Vertigo values, which are design and innovation, but this time, introducing all the experience and wisdom from Dougie Lampkin’s successful career, who currently is the ambassador and developer for the brand and 12-time World Champion, plus record holder of 11 victories in the SSDT. 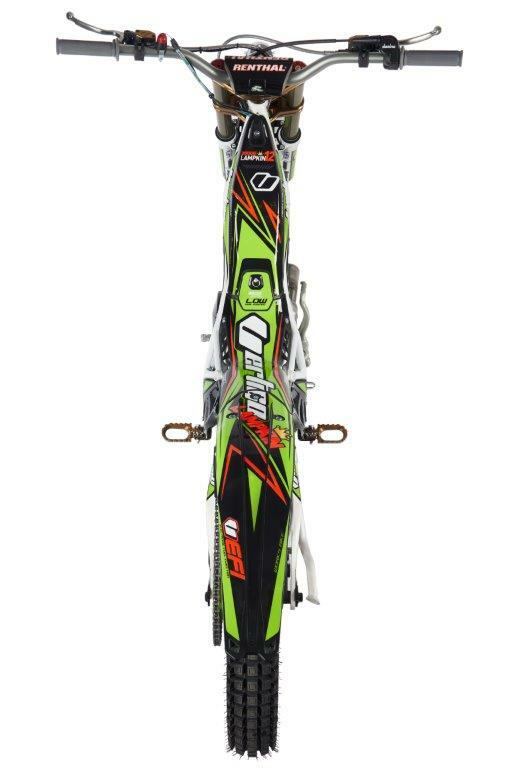 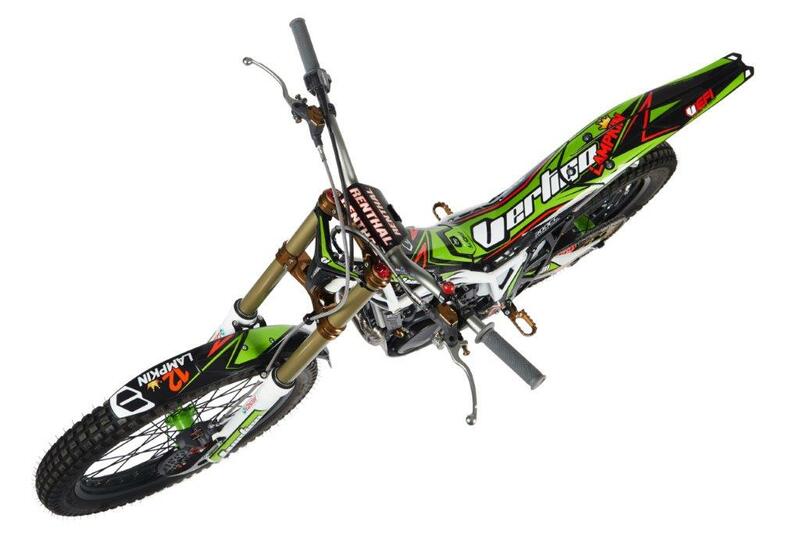 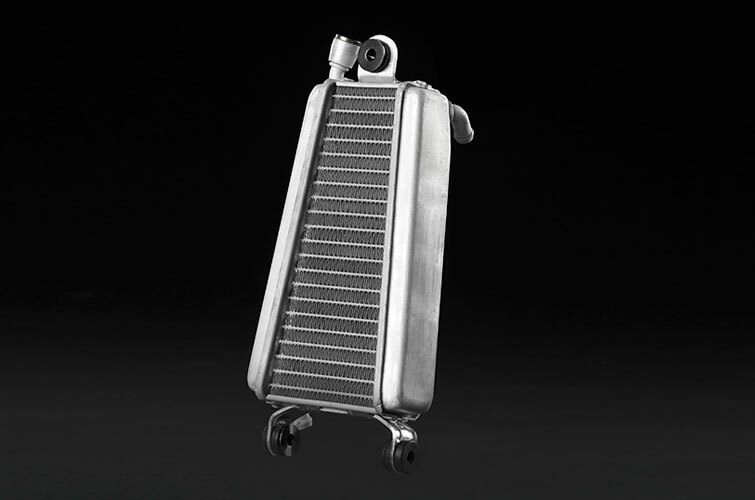 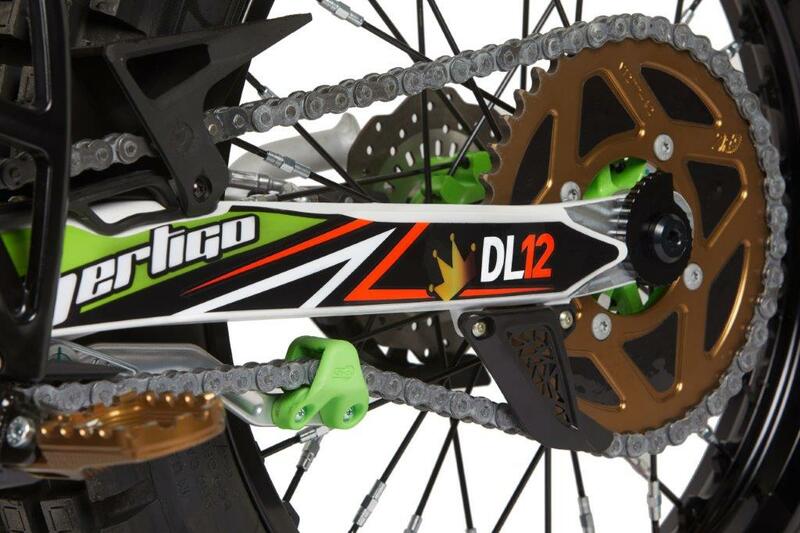 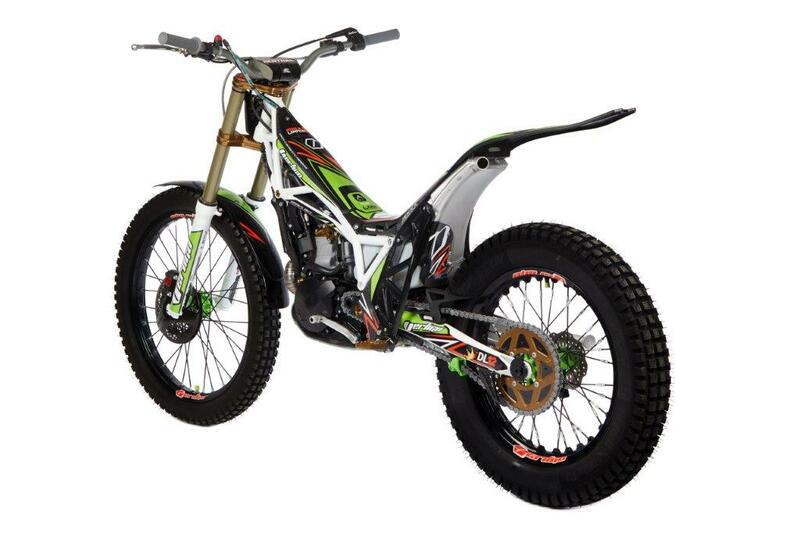 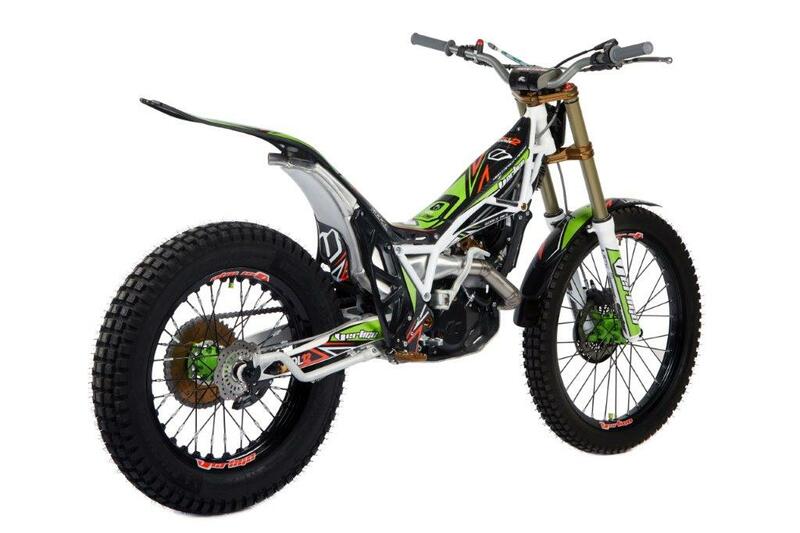 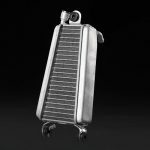 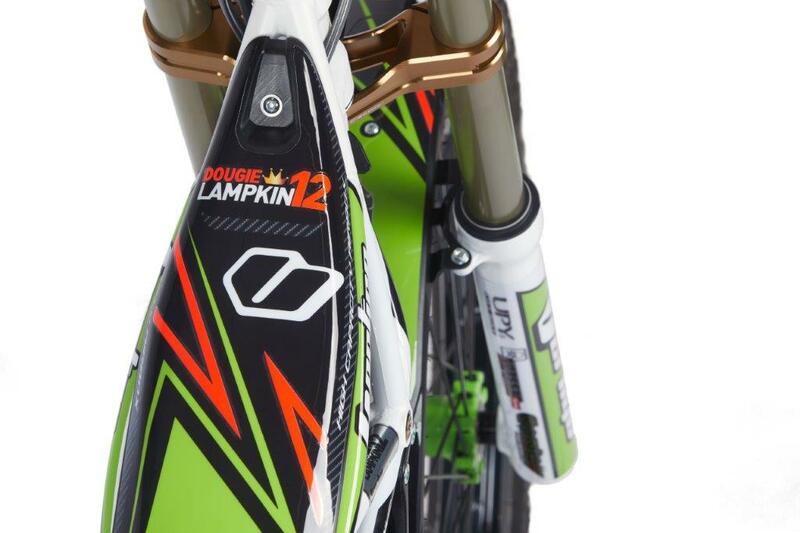 The Dougie Lampkin Replica will be produced in a limited edition. 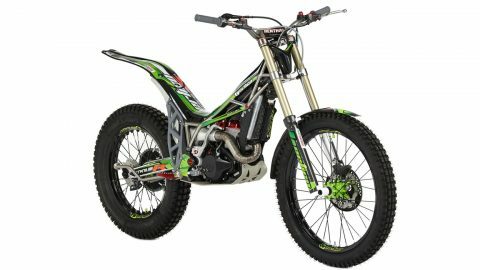 Concretely 150 units will be put into production, all of them adding their respective nameplate with the number of the series. 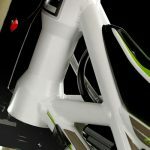 This is an aspect that constitutes a very important differential factor, giving to the final user the opportunity to own a unique bike. 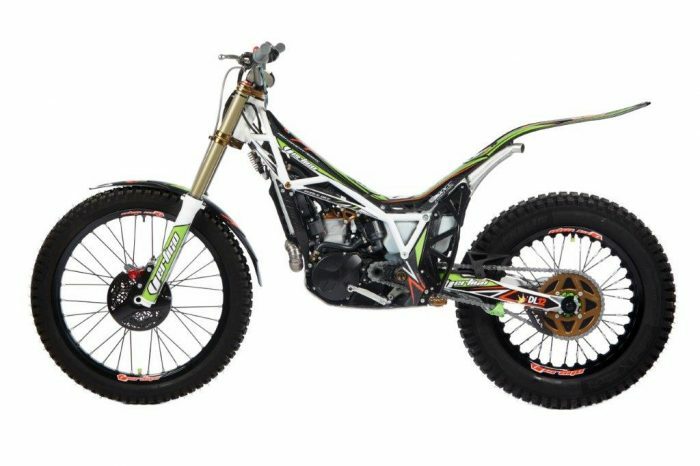 Another aspect to take into account is that this Dougie Lampkin replica features a white tubular frame of 15CDV6 aluminium in color white, which will provide its future riders a great handling of the bike. 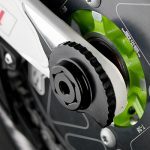 Following the same line as in former models, Vertigo has put special attention in light weighting the components in order to offer a light bike, for that reason, once again the clutch and engine covers have been mounted by injection. 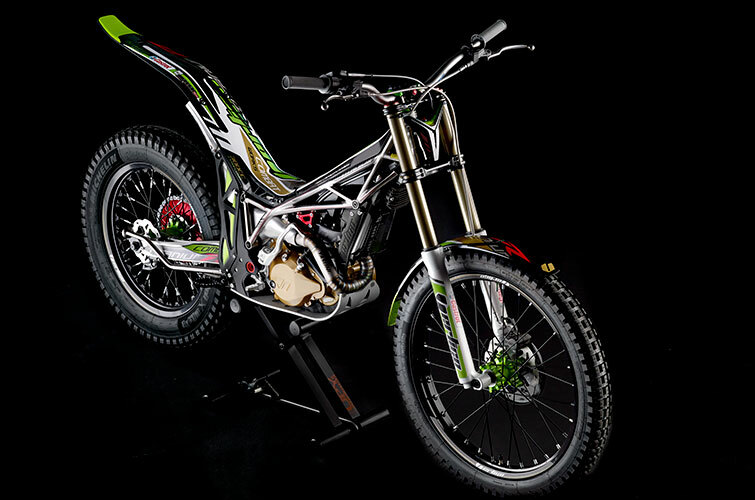 The injection management has also gone through interesting modifications. 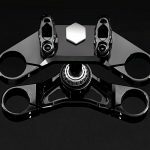 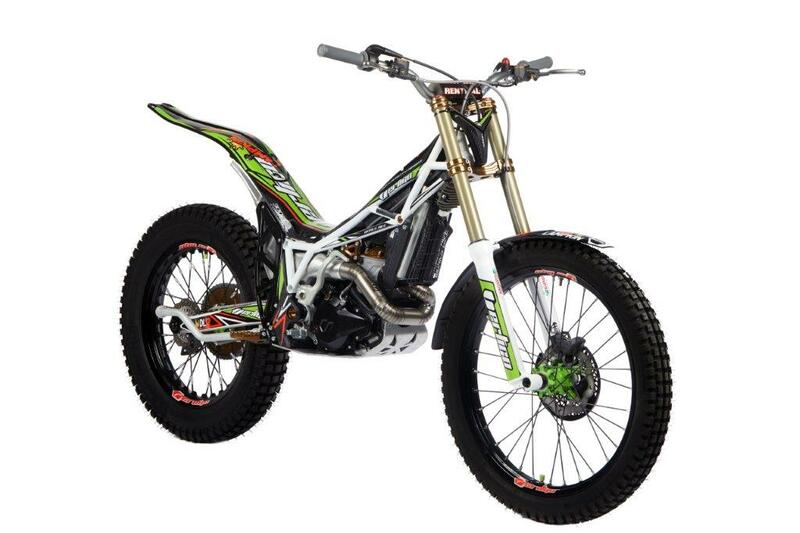 Here we can find the addition of a switch that allows to select a double optimized map developed jointly with Dougie Lampkin, which gives to the final user the chance to benefit from the large experience in competition of our brand ambassador. 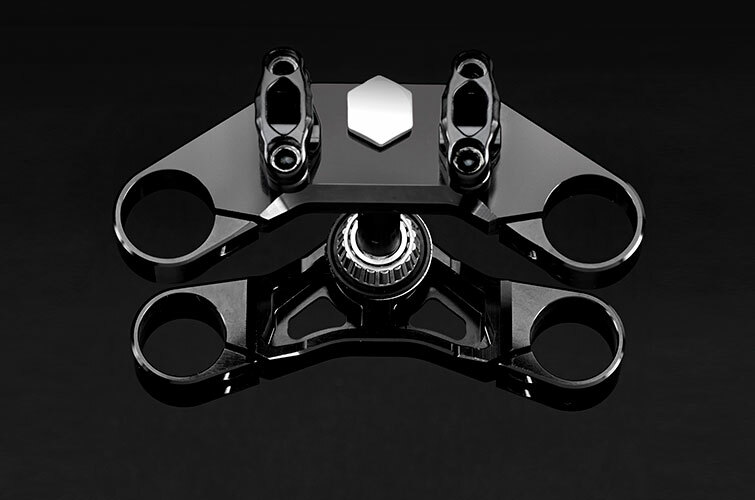 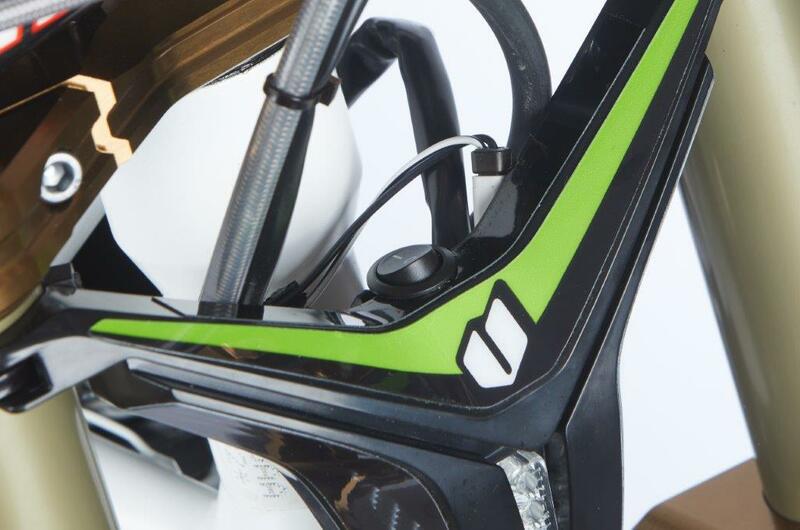 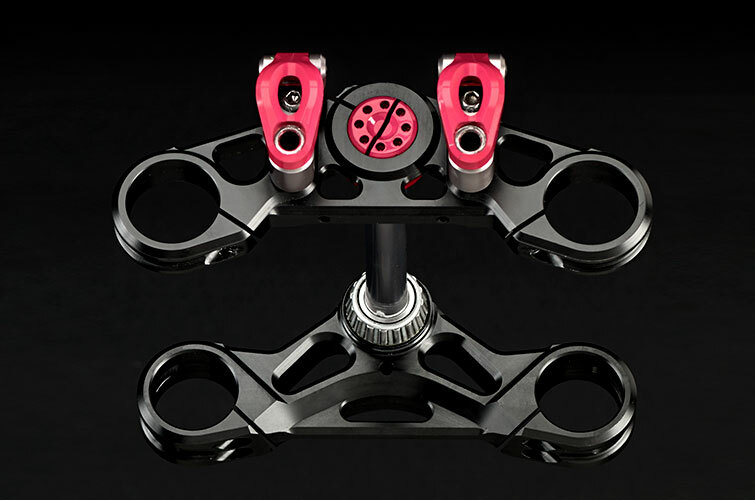 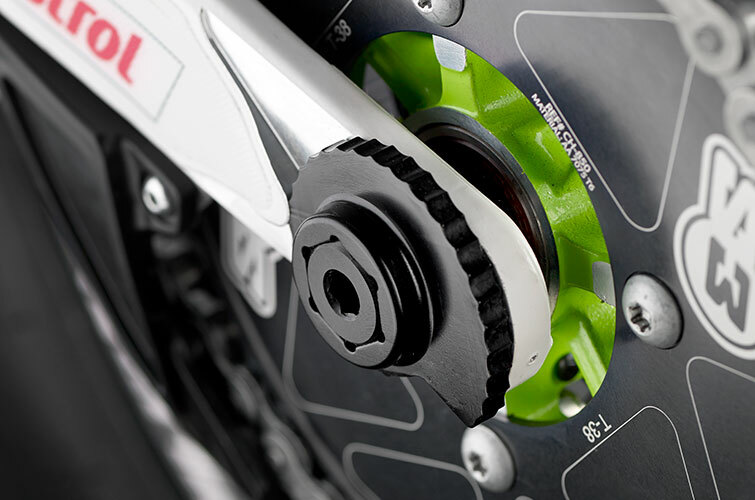 When talking about handling, the bike features new adjustable suspension clamps and new geometry. 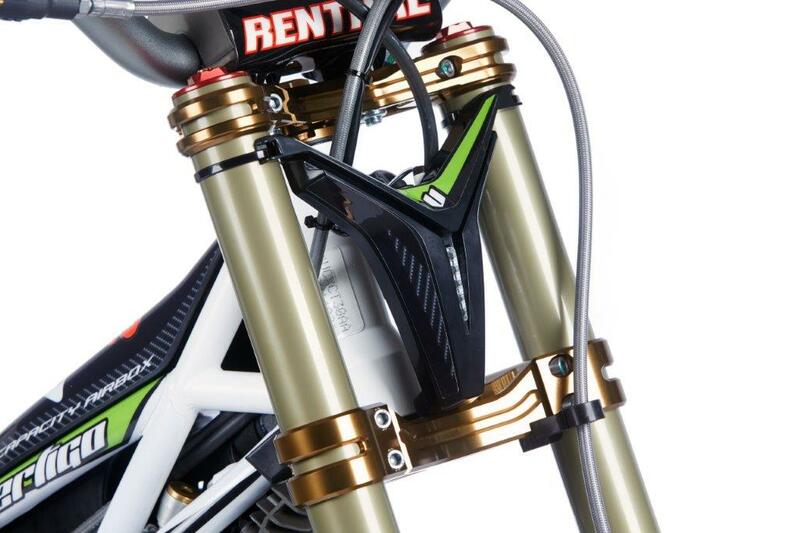 It is also important to highlight the combination of special power parts manufactured by CNC in beige anodized, which include: clamps, foot pegs, cylinder head cover, semi shaft dumper, rear chain wheel, levers adjustment kit, pump brake cover and clutch cover. 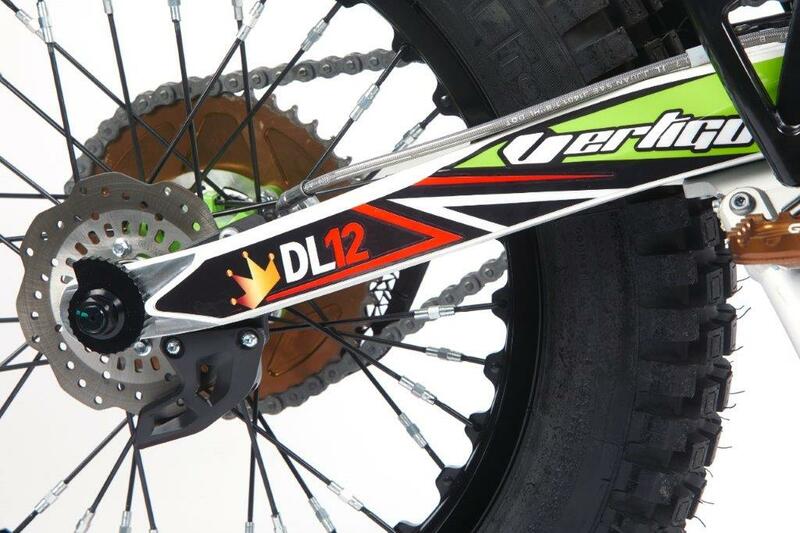 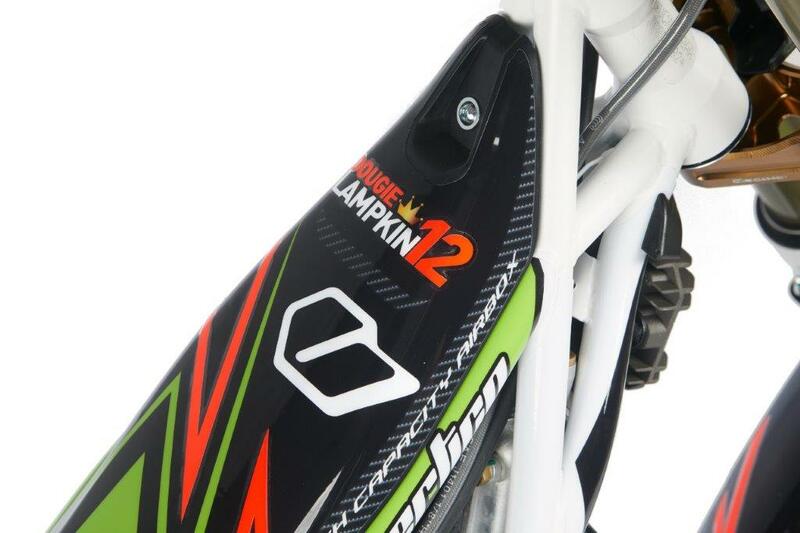 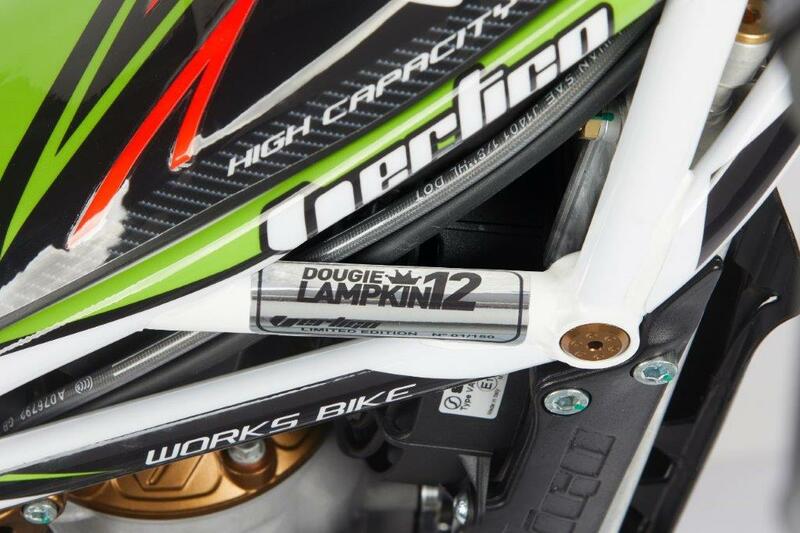 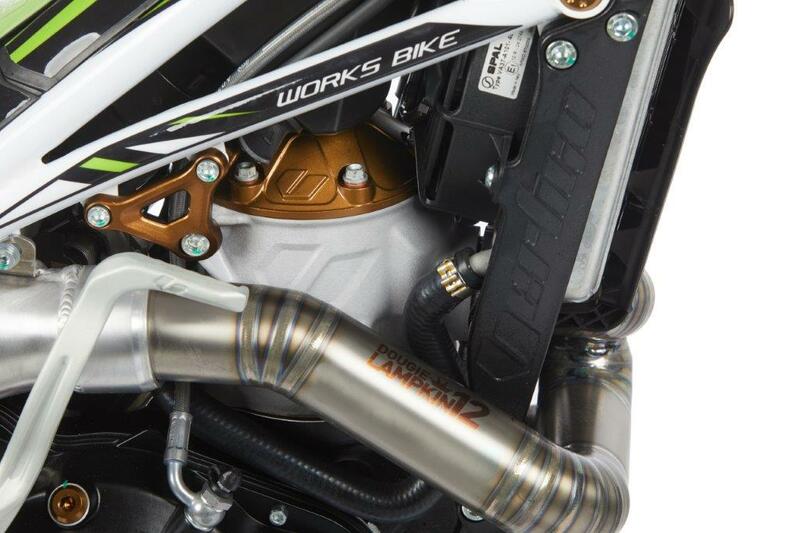 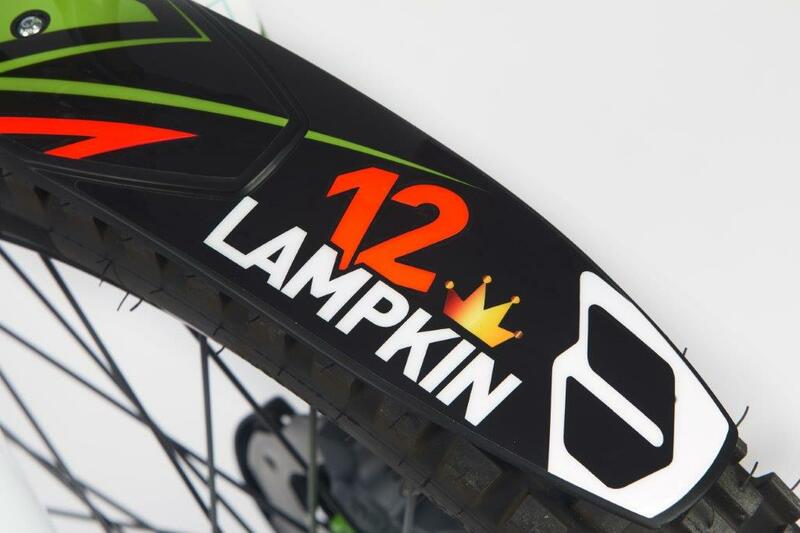 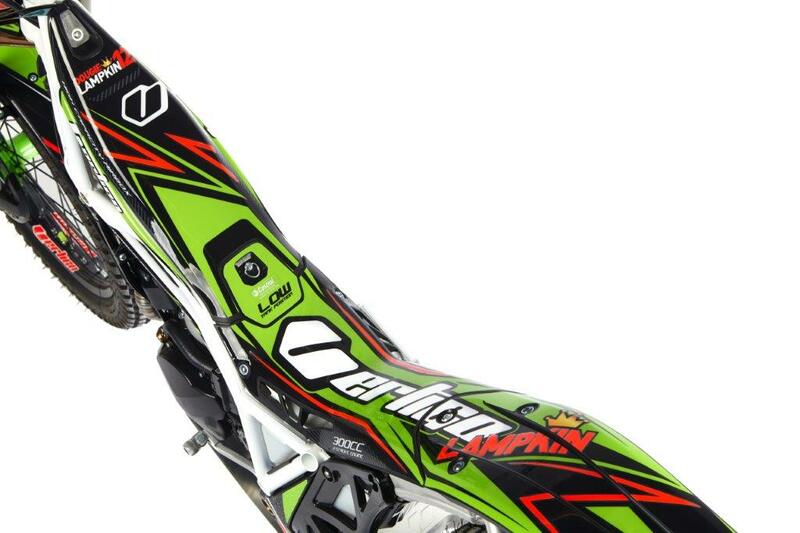 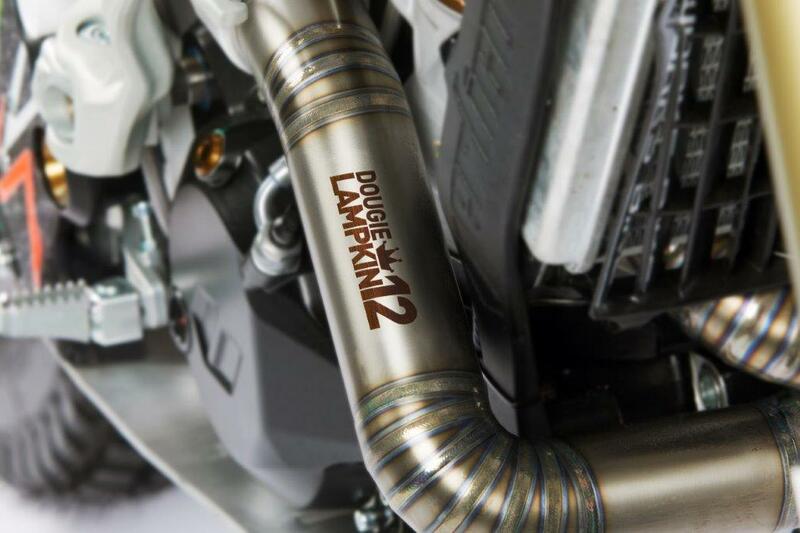 The Dougie Lampkin Replica also has a new decoration design, with special relevance for Lampkin’s own image, as his personal logo appears on several parts of the bike, including the exhaust pipe. 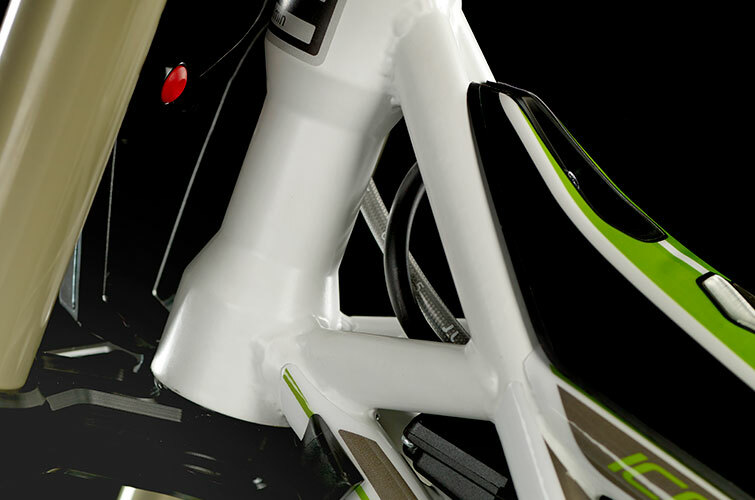 Color black also wins importance, while color green steaks as the main one, red and white details have been combined to leave us a good looking bike. 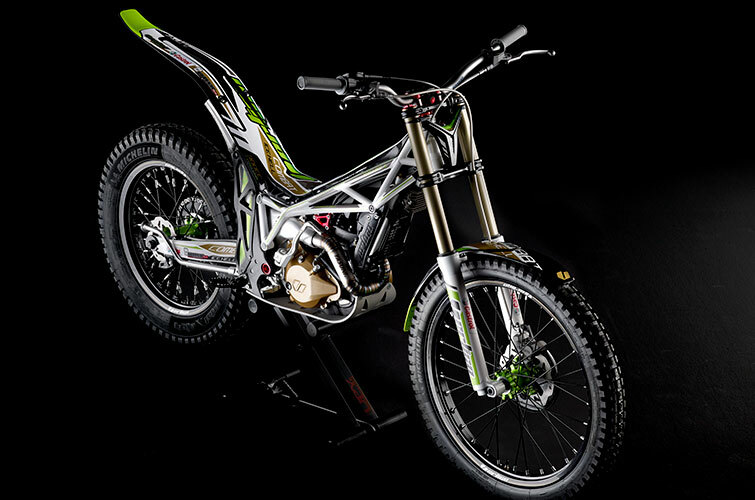 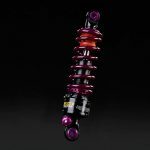 To know which bike settings are used by the greatest trial riders is something that a lot of lovers from this sport desire to know. 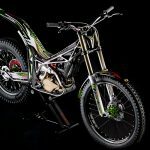 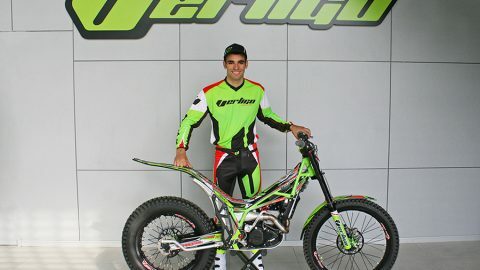 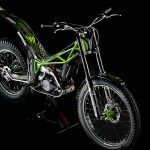 In this occasion, Vertigo is bringing them a bike with the same patterns used by Dougie Lampkin in the SSDT, the same ones that have given him so many victories in the last few years. 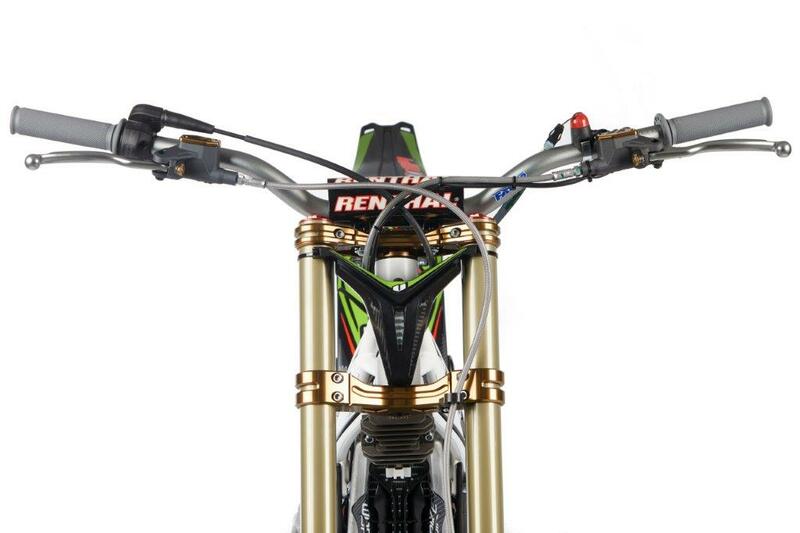 Nobody knows better how to set up a bike than a 12-time World Champion. 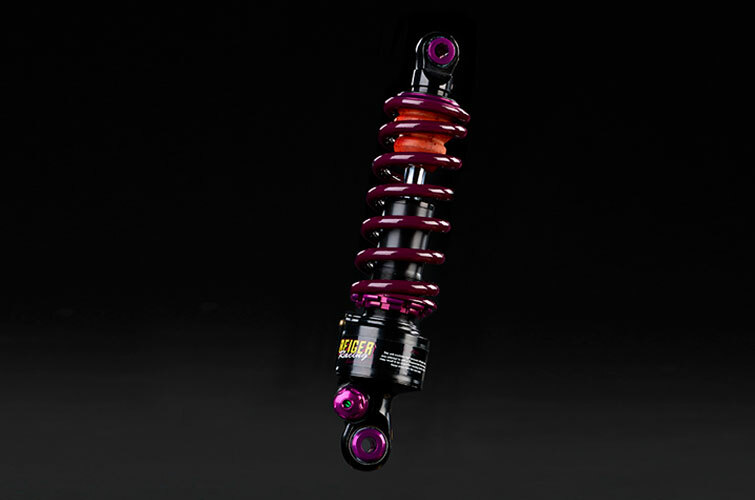 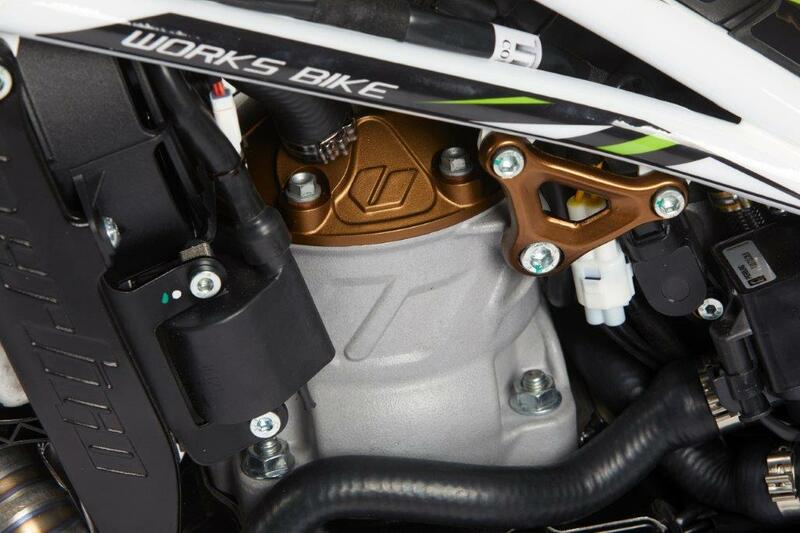 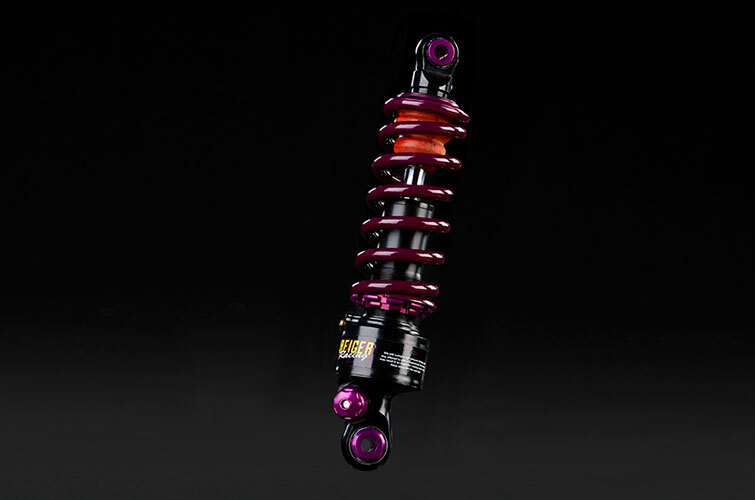 – Engine and clutch covers in injection in order to reduce the total weight. 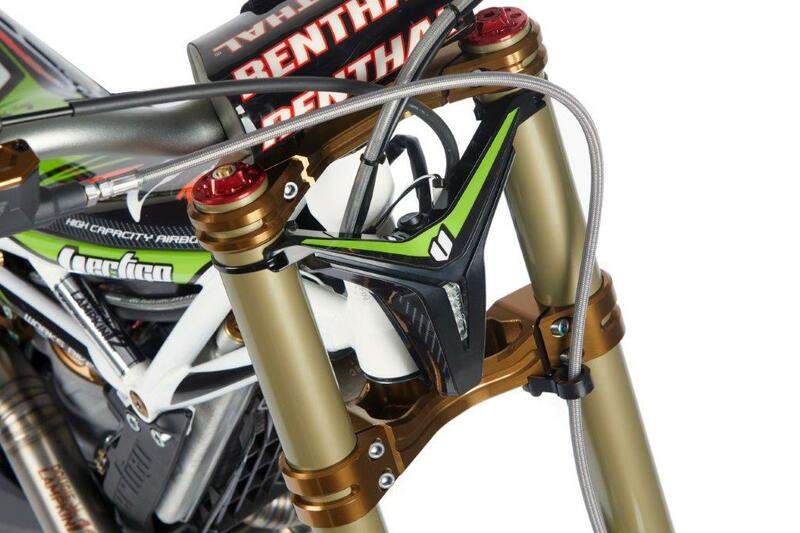 – Front fork Tech Alu in gold. 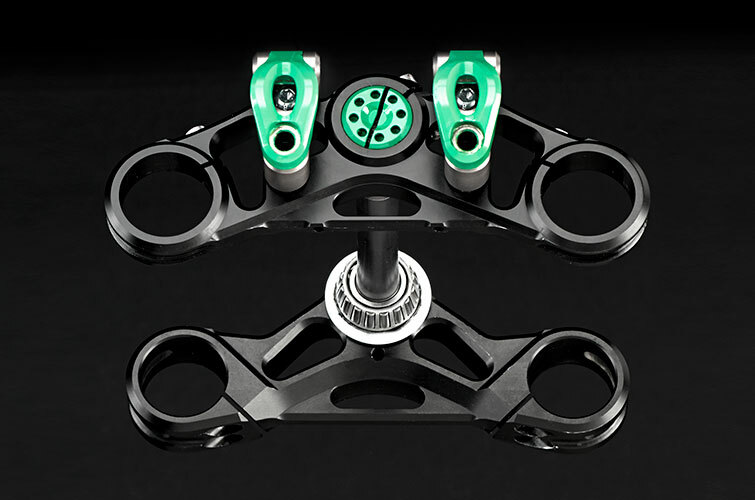 – New injection map with double map switch. 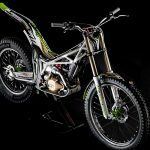 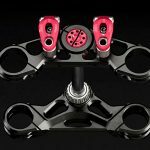 – Adjustable fork clamps and new steering geometry.